So, the hours I was supposed to spend yesterday morning revising yesterday’s (that is today’s) blog post, I ended up passing at the Hospital for Joint Diseases. No, nothing serious. At least that’s how I prefer to think about loss of sensation and muscular control in the two smallest fingers of my left hand (okay, a portion of the hand itself too). I can still type, albeit with a few extra errors, so it can’t be that bad. Probably a pinched nerve in my elbow, the neurophysiologist has informed me, the ulnar nerve. Rather a nice sounding word, soothing almost. Ulnar. I like the roll of that L, the way it quietly takes over the N. Just as the doctor’s x-ray requisition and prescription for a nighttime arm splint took over my requisite writing time. He’s going to save his verdict about the knife for later. I have to confess to not having yet read Foreign Bodies, not the only gap in my literary education. (But I have just re-read “The Shawl,” such a concise and wrenching story about the Holocaust and loss, and I am well into its follow-up “Rosa,” about the scars of history and hauntings of memory.) The excerpt Ozick selected from her new work only enticed me further, illuminating as it did an exchange between two mismatched, and yet simpatico, souls who surprisingly connect in Paris in 1952. One is a young man, Julian, rather self-involved, though earnest and seeking, an American and a writer, still green with inexperience; and the other, a central European emigrée, Lili, a Romanian refugee in her mid-thirties. Jaded and marked, Lili is tattooed inside and out, by the war. Having started with culture, linguistics even, and bounced to experience and memory, here I am in the pit of war—a place also worth remembering, since human decisions get us there. Not quite where I’d planned to be, but in fact it will take us back to that well-lit, white-walled salon across from Gramercy Park. Most of us, busy with our overcrowded lives—work, family and friends, a little recreation—are removed from the violence of war, combat, fire-bombs, tanks and shrapnel and missing limbs, the pulsing heart of fear and dirt in the mouth, the ears listening, waiting…. But there at The National Arts Club, with Ms. Ozick at the podium, with her mellifluous voice and sharp mind, were an assortment of privileged New Yorkers gathered together to hear Ms. Ozick, and, if only a little bit, to attend to the potency of memory, of cultural suppositions, and the legacies of at least one war, and perhaps by extension, other wars too. I realize I may be making a good-sized leap to imagine the whole room setting upon the same two fragments of text and leaping forth from them…. But books are a great unifier. They take our minds, and our memories, to places we might not otherwise go. I was one of only a handful of women in range of child-bearing years in the room that evening. It was refreshing to be among so many grey-haired patrician compatriots. So, while I felt mildly out of my element in the stalwart NAC, patronized by and run by the patronage of the very well-to-do (although the reading was notably free, listed in the New York Times), I also felt quite at home. We were all, in some sense, thinking about and awash in memory. I only realized later how incongruous some of my own inchoate memories were with the event. Throughout the reading, as I sat in close quarters between my mother-in-law to my left and a well-coiffed woman to my right with burgeoning white-gray hair exuberantly capping off her more-somber face, I struggled to recall when I had been at The National Arts Club before, and who it was I’d come to see. I still haven’t managed to recall this, but I did realize the next day that I had been fishing about my mind for Tom Hanks! Not the Tom Hanks of recent years, but the just-starting-out, young man in the television show from the eighties, Bosom Buddies, in which Hanks and a friend led their lives dressed in drag in order to acquire an affordable apartment in a women’s residence—by Gramercy Park. Walking home that night, I practically felt like I could see the residence, could remember it, though I still hadn’t realized who the memory was about: these two slender, young men turning themselves into rather ham-handed renditions of modest, heavy-set, middle aged women each morning. In a strange way, the decorum in The National Arts Club salon the other night did somehow mimic the decorum that Hanks and his buddy were mimicking in order to gain admittance to a different elite club—affordable housing in Manhattan. But while the television show was camp—mildly mocking, yet good-natured in its fun—the evening with Cynthia Ozick was warm and sincere, even in the relics of stiffness, the historic building, the wealthy and propriety-conscious attendees, another era lurking. 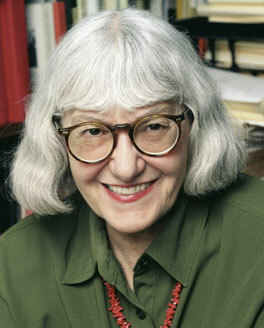 And Ms. Ozick was not stiff at all, but charming and candid. At the same time that my unorthodox memories were tapping at the door, she and a colleague, Dr. Martin Tucker, who had earlier introduced her, threaded their memories through the evening. They had attended NYU together, as undergraduates, and shared a first semester freshman composition course. Amazing what our memories do, what sounds, moments, flotsam and moving experiences, our brains hold onto. They compose who we are. Sometimes frivolously and sometimes painfully, but, still, necessarily. So if I had to take a detour from these friends, literature and memory—cultural, literary, personal (ok, television too)—to spend a morning with doctors and x-rays, I am glad to be back among them. Though Cynthia Ozick and I only exchanged a hello and a pleasantry, as she signed a copy of her book, the power of her voice has wrapped itself around my week, shaping and reshaping memory, making some anew, and reminding me to think not just about my own memories but about the memories of others. This entry was posted in Memory, Suicide, War, Writing & Reading and tagged Cynthia Ozick, memory, National Arts Club, post-traumatic stress disorder, reading, suicide, ulnar nerve, VIDA, women writers, World War II, writing. Bookmark the permalink.